Pacific Pools Of St George Is Your Pool Sales, Liner Replacement & Automatic Cover Experts Call Today 435-668-8020 or 208-841-0167! 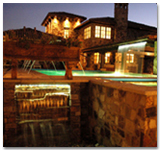 Pacific Pools is in the business of building beautiful quality pools, spas, water features and splash parks. Whether you’re a home owner, realtor, or builder you will receive personal assistance from initial planning and design to completion. We specialize in in-ground pools, gunite/concrete, vinyl-lined, fiberglass, and in-ground spas. Our staff will provide you with quality workmanship and professional service whether you need a new installation, a remodel or you want to reline or enhance your current pool or in-ground spa.